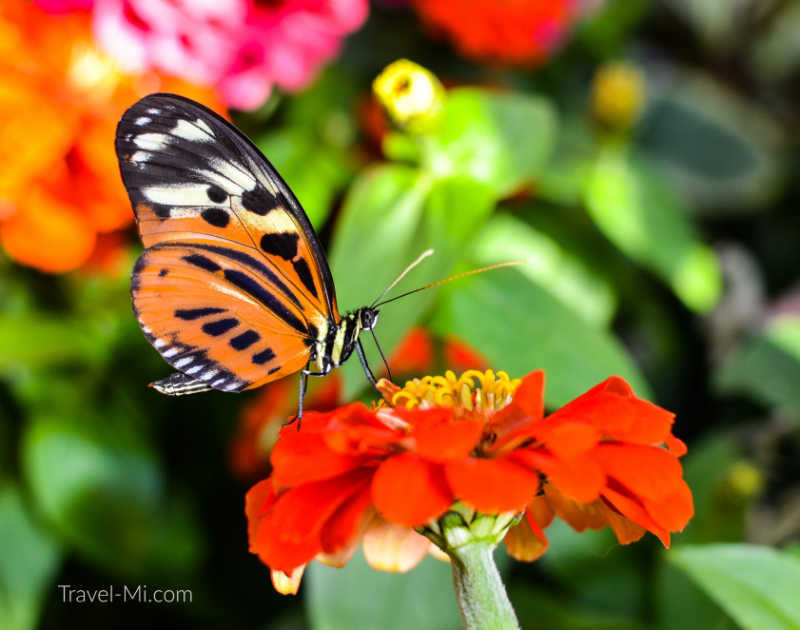 Why Dow Gardens Butterflies In Bloom Rocks! 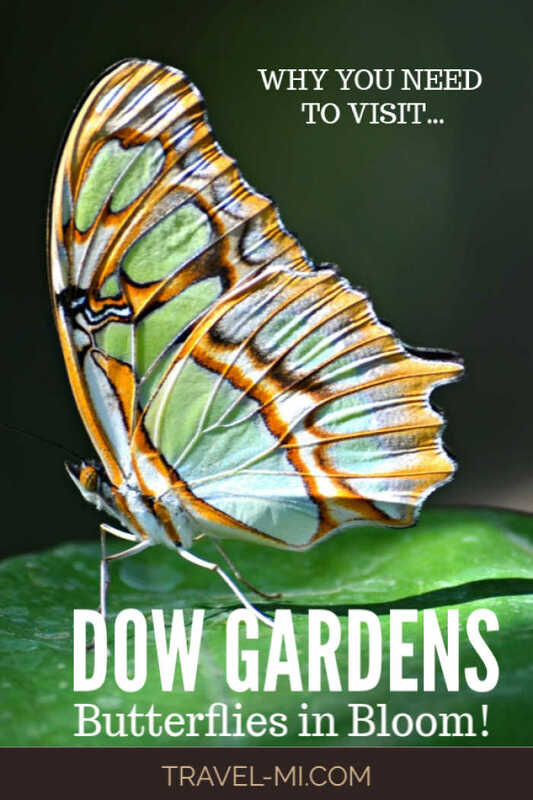 Dow Gardens Butterflies In Bloom is an explosion of your senses!! Watch stunning butterflies emerge from their chrysalis' and learn how to safely pick them up! Located in Midland, Michigan! 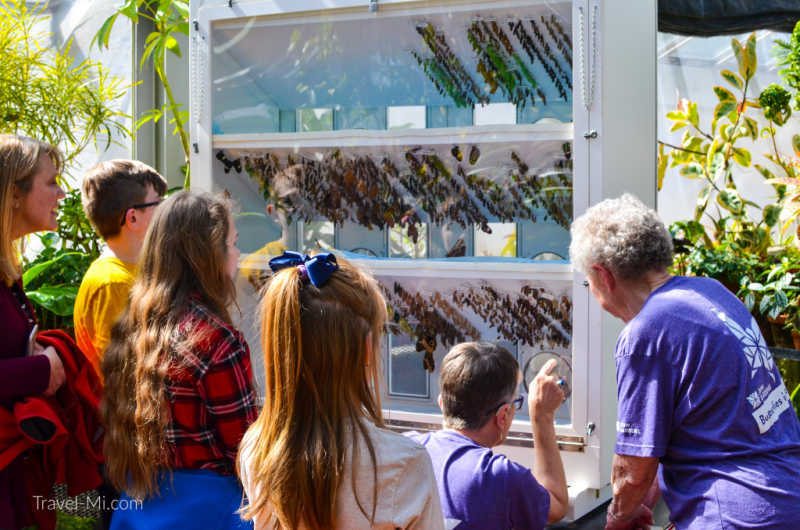 This fully immersible butterfly house is different than others in the state in that you can pick them up, carry them around and learn first hand about the beauty and fragility of butterflies! You MUST call head of time or go their Dow Gardens' website and schedule the day and time of your visit. They were booked two days out when I called but it was Spring Break. If you walk in, you may have to wait a couple hours. But you can pass the time by walking the amazing gardens! ***The time you schedule is the time you walk into the butterfly house. It is not the time you arrive at the front desk. Ex: If your scheduled time is 1:00, I would arrive at 12:30 at the front desk and allow time to walk to the butterfly house. Know that it takes about 20 minutes to walk back to the butterfly house if you have small children. If you are fit and head straight there, you can make it in about 7 minutes. If you have an annual pass there is no extra charge for the butterfly house. Otherwise you must purchase a daily or annual pass. Plan to spend 30-45 minutes in the butterfly house. Also plan to walk the grounds. Overall, you can easily spend 3 hours here. It is VERY hot in the butterfly house. I wore a tank top and jeans and was still hot. I know this seems obvious, but just in case...butterflies are flying loose in the butterfly house. They may land on you or fly very close to you. Please be mindful of photographers...don't try to pick up a butterfly they are photographing. There is a separate place to hang your coats. There are restrooms in the butterfly house in the front entry. 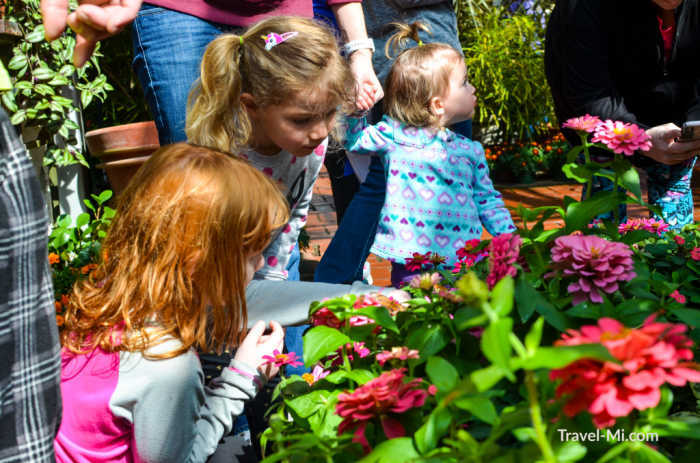 I love Dow Gardens Butterflies in Bloom because spring is definitely in the air! Birds are chirping, chipmunks are scurrying and the trees are juuuust beginning to bloom. It's a great place to visit in Michigan! 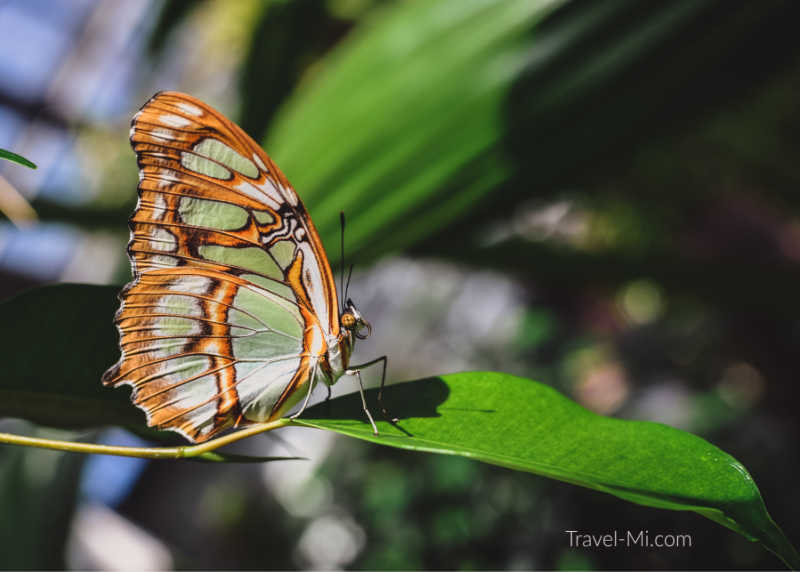 Visiting the butterfly house at Dow Gardens in Midland, Michigan will get you outside, awaken your spirit and well, give you a bit of much needed fresh air. It's kind of a two for one...butterflies AND a chance to explore the gardens! Plus the sunshine, thawing creek and chirping birds revives my soul! I'm sure it will do the same for you! Visit Whiting Forest Next Door! Connected to Dow Gardens is the Longest Canopy Walk in America. Park once, use your pass you purchased at Dow Gardens and walk over! 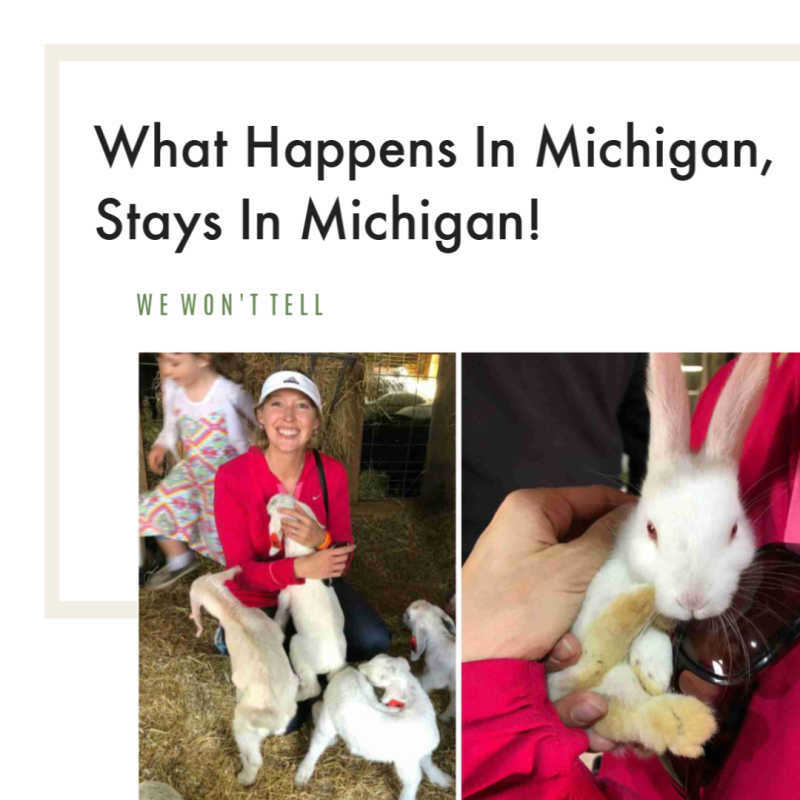 Have A Great Story About Michigan? 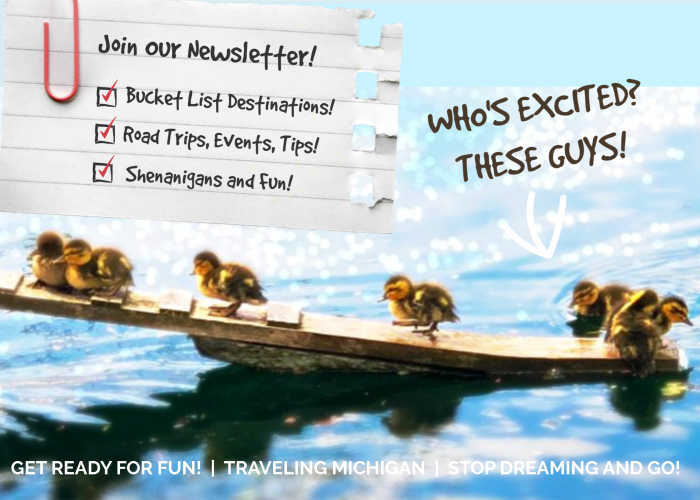 Do you have a great story about being in Michigan? Share it! Do you have some pictures of Michigan to add? Great! Click the button and find the first one on your computer. Select it and click on the button to choose it.